From the outside, your chimney may be a beautiful accessory to your home. What you may not know is the hidden dangers inside of it. A damaged chimney liner is a very dangerous situation if you are regularly using your fireplace. 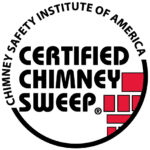 Cracks, leaks, gaps, and spalling in masonry chimneys can lead to chimney fires, deterioration, water damage, and potential erosion. Flue liners can be made from multiple materials. Clay tile liners are a traditional favorite. A well-done clay tile service can last up to 50 years. There are also metal flue liners. These require less labor to install. Patriot Chimney offers both of these options and can prescribe the best solution for your chimney situation.